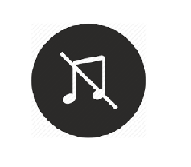 When the sound icon in the task bar has a red circle on it, you definitely can not hear the sound. You can move the cursor over the sound icon and it shows “ No Audio Output Device is installed ”. When you encounter such type of sound error, you can try solutions we given here then the problem should resolve. To fix the problem No Audio Output Device is installed error, follow these steps (Steps below are just for your reference. The specific steps in different system versions or OS may be different). 1. Press Win+R (Windows key and R key) at the same time. A Run dialog box will appear. 2. 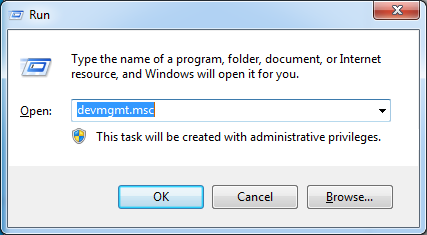 Type "devmgmt.msc" in the run box (without quotes) and click on OK button. 3. Find category “Sound, video and game controllers” from the list you see. If you do not see this category listed there, follow below steps to get it back. 2. Select ‘Add Legacy hardware'. 4. 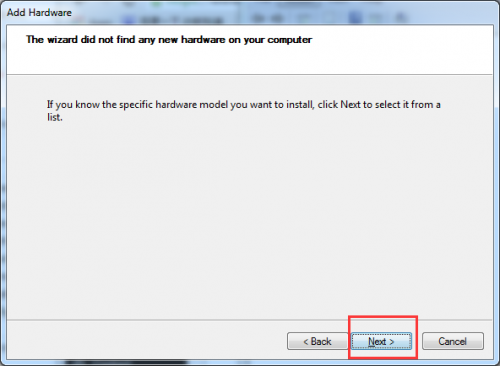 Select ‘Search for and install hardware automatically'. 5. 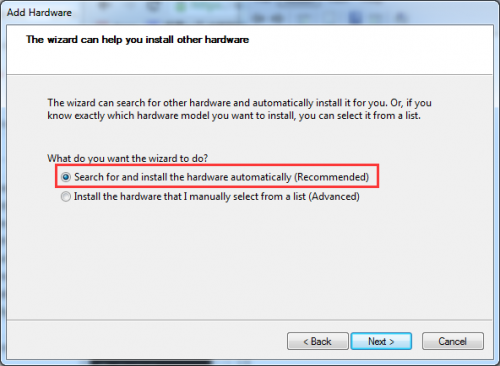 If message that the wizard did not find any new hardware comes up, click Next button. 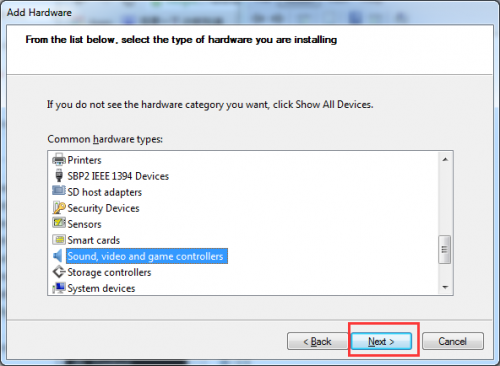 6.You should now see a menu of hardware types. Scroll down until you see the Sound, video and game controllers option. 7. Highlight/click that option then select Next. 8. Select the manufacturer and model of the sound card and then click Next. For instance, if you are using Realtek audio card, select Realtek. (If you are not sure what manufacturer you select, try the Final Solution). 9. Click Next to install the device and click Finish. 11. 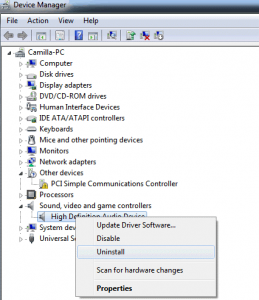 If this does not resolve the problem, click Uninstall to uninstall the driver. 12. Restart your PC. After restarting, the system always can automatically load the sound driver, then yours problem should resolve. 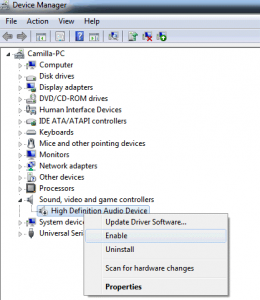 The problem No Audio Output Device is installed error most probably is caused by driver issues. If you are not sure how to resolve the problem manually by following steps above, you can use a driver update tool to help drivers update automatically. Driver Easy is one of the driver update tool online. 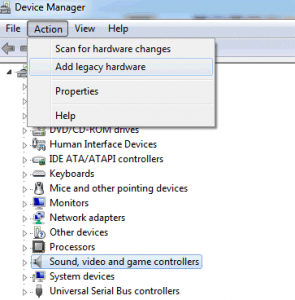 After you install Driver Easy, use it to scan your computer to detect all the problem drivers. 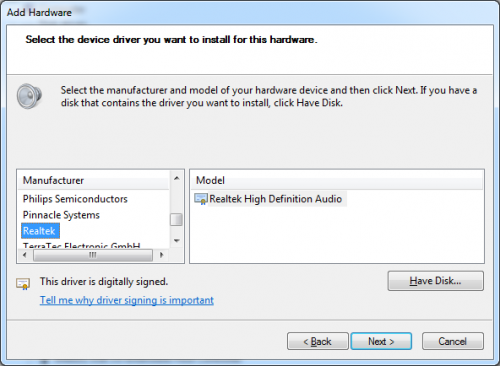 If there is problem with the audio driver, Driver Easy will detect it and it will recommend you the new driver. With Driver Easy, the sound issue can be resolved easily. Driver Easy has available Free version and Paid version. 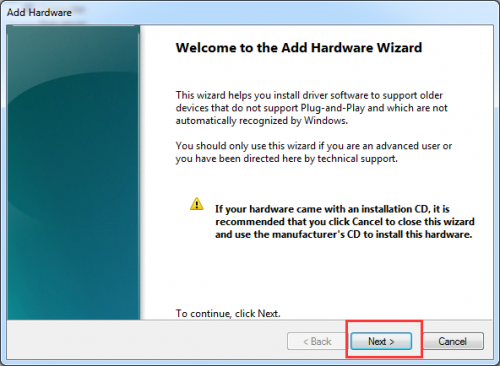 You can use the Free version to download new drivers, but you are required to use the downloaded driver files to step by step install the drivers manually. And the download speed is limited. To save more time, you can use the Paid version. Because of Paid version, all drivers will be updated automatically. More over, you can have free technical support guarantee.